I got my inspiration from this recipe. I omitted the salt because I felt that there was enough salty flavour in the bacon. Mix together eggs, milk, salt and dry mustard in a bowl. Spread the bread cubes in a greased 9×13 inch baking dish. Sprinkle the bacon and cheddar cheese over the bread. Bake at 180C for 45-60 minutes. 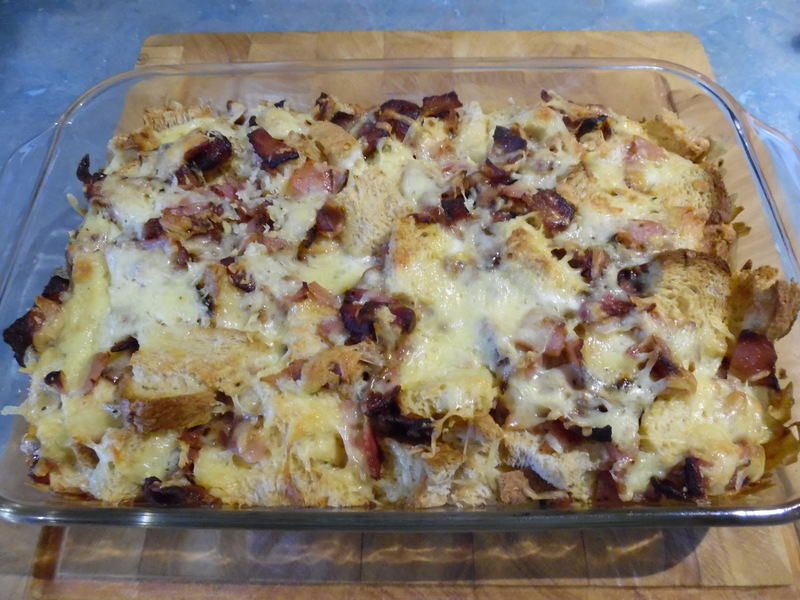 Posted on Friday, August 22nd, 2014, in Cooking, Recipes and tagged Baking, Casseroles, Egg and Bacon Casserole, Eggs. Bookmark the permalink. Leave a comment.